WILLEMSTAD - Everything is ready for the former Minister of Finance, George Jamaloodin to be extradited from Venezuela to Curaçao. 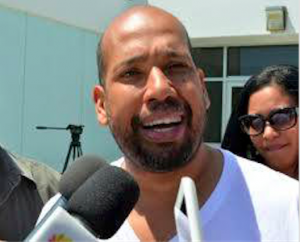 Both the Public Prosecution as the Venezuelan authorities are pending to extradite him as was requested by justice here in Curaçao. Authorities here say that it has not been easy because there is no extradition treaty between the Kingdom of the Netherlands and Venezuela. The former Minister is not behind bars as was announced before but he is being monitored 24/7. Jamaloodin is a suspect in the case named Maximus which is the investigation into the intellectual authors of the murder of the politician Helmin Wiels. He is also involved in other cases and investigations into official corruption, forger, and fraud.